Kateryna Gandzyuk, who worked as an adviser to the mayor of the southern city of Kherson, was an outspoken critic of corruption in law enforcement agencies. She was attacked in July and had about a litre of acid poured on her by several attackers. The 33-year-old died in November after months of treatment, including more than 10 operations. 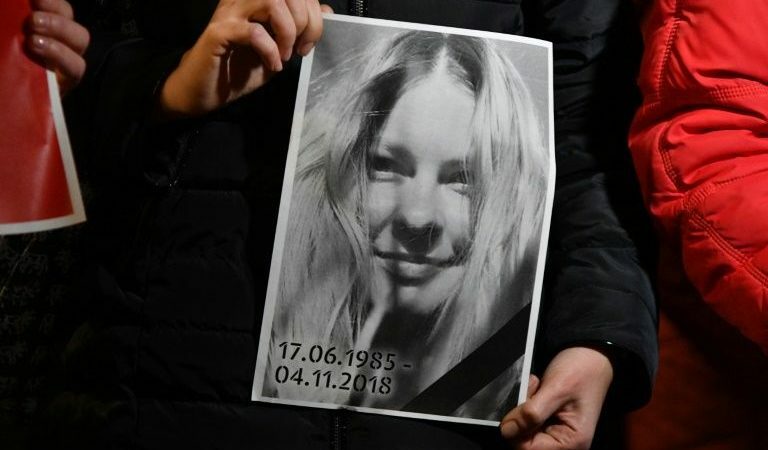 Her murder has prompted widespread outrage, with civil society activists accusing the authorities of failing to complete the investigation or find out who ordered the attack. On Monday, less than two months before Ukrainians go to the polls to elect a president, General Prosecutor Yuriy Lutsenko pointed the finger at the head of the local council in the southern region of Kherson. Vladyslav Manger is accused of “organising the murder of Kateryna Gandzyuk,” Lutsenko said on Facebook. According to the charge sheet released by Lutsenko, Manger was guided by “personal animosity” towards Gandzyuk because she opposed illegal logging in the region. Lutsenko’s spokeswoman Larysa Sargan said Manger was accused of “intentionally and unlawfully causing the death of another person… with special cruelty and by prior agreement with a group of individuals”. Speaking to AFP, Sargan said that Manger was not yet arrested. “Searches are under way in Kherson,” she said. Manger was a member of the Batkivshchyna (Fatherland) political party of former prime minister Yulia Tymoshenko, a key rival of President Petro Poroshenko in the 31 March presidential election. Gandzyuk’s death has sparked condemnation of the government and drew renewed attention to dozens of assaults on other anti-corruption campaigners in Ukraine over recent months. In August, police detained five people in connection with the case, three of whom were placed under house arrest. In November, a former aide to a ruling party lawmaker was arrested on suspicion of being involved in the attack. Fellow activists accused police and prosecutors of reluctance to investigate the case, insisting the detention of those possibly involved in the attack was made only after a wave of protests across the country. Lutsenko in November submitted a letter of resignation to Poroshenko over the affair but the Ukrainian leader refused to fire him.